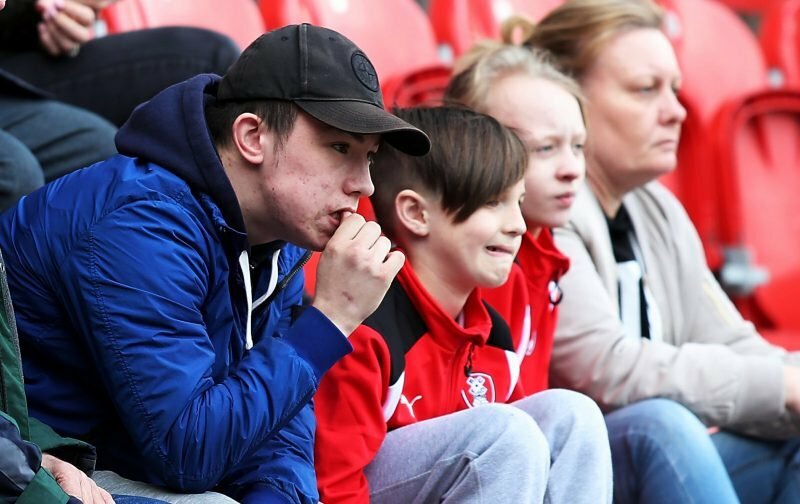 I think it’s true to say that Saturday wasn’t Rotherham United’s finest hour – well hour and a half – and, actually, I think it was the worst performance I’ve seen from the boys in yellow and blue this season (and, yes, I did go to Brentford). Millers Manager Paul Warne was obviously as disappointed as the travelling one thousand four hundred fans with one of his comments being ‘we gave the ball away too many times’. Well, I’m not convinced we gave it away as much as Derby took it off us. Saturday was one of our eight cup finals before the season ends – we’ve now got seven left and it’s seven we really need to get something out of to have a chance of being a Championship side next season. I’ve said previously that we’ve now got to forget Saturday and move on but I’m wondering if forgetting Saturday is the right thing to do? Perhaps we should remember Saturday and learn from it. Warney glossed over the spat between Jon Taylor and Jerry Yates, although as Tayls didn’t appear for the second half we can assume the Gaffer thought he was at fault. I didn’t quite see it like that. Tayls is a passionate lad and I can understand why he was frustrated with the Millers forward on Saturday – he was frustrating me too. On the other hand the team have to stick together especially now – as do us fans. And, to be fair, although there was a lot of grumbling amongst us on Saturday and some left early (even I got to the point where I thought I’d have been better stopping in the pub) there was no obvious booing of the team. As I left as the whistle went I don’t know if the team came over to thank the fans for coming and if they did what sort of reception they got. We should have the majority of suspended, injured, sick players back for next weekend (although if it was a stomach upset keeping Michael Smith out I’m hoping having him on the bench hasn’t passed it on to everyone else there) and, let’s be honest, things can only be better.